He is — a video game. She — aerobics every day. We — tennis every Sunday morning. Nga — TV every evening. We often _ fishing in the summer. He — in the living room every day. a) Nam __ __ to __ Ho Chi Minh City. b) Vui and Chi __ __ to __ a movie. c) I __ __ to __ fishing tomorrow. 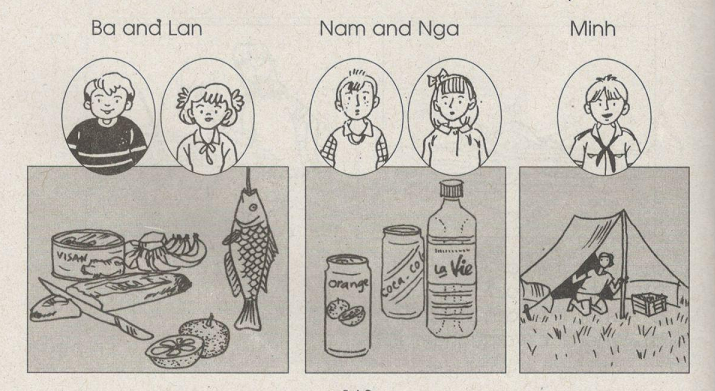 e) We __ __ to __ Nha Trang Beach this weekend. a) Nam is going to visit Ho Chi Minh City. b) Vui and Chi are going to see a movie. c) I am going to go fishing tomorrow. e) We are going to visit Nha Trang Beach this weekend. 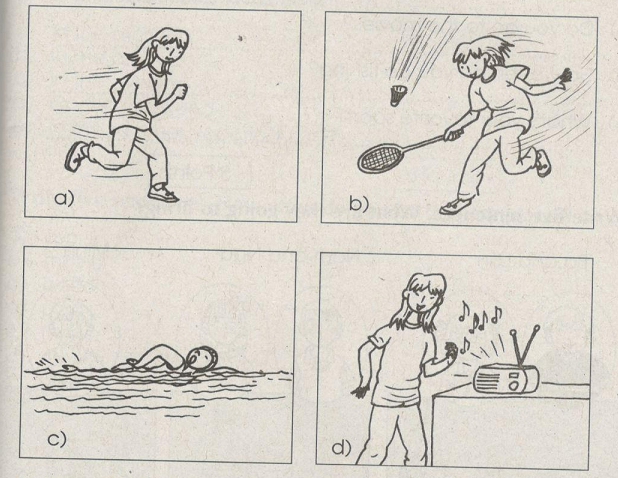 a) Do you often play badminton? b) Do you go jogging? c) Do you go to the movies? d) How often do you go fishing? e) What’s your favorite sport? Bài tiếp theoTest yourself 5 Trang 152 SBT Tiếng Anh 7: Câu 1. 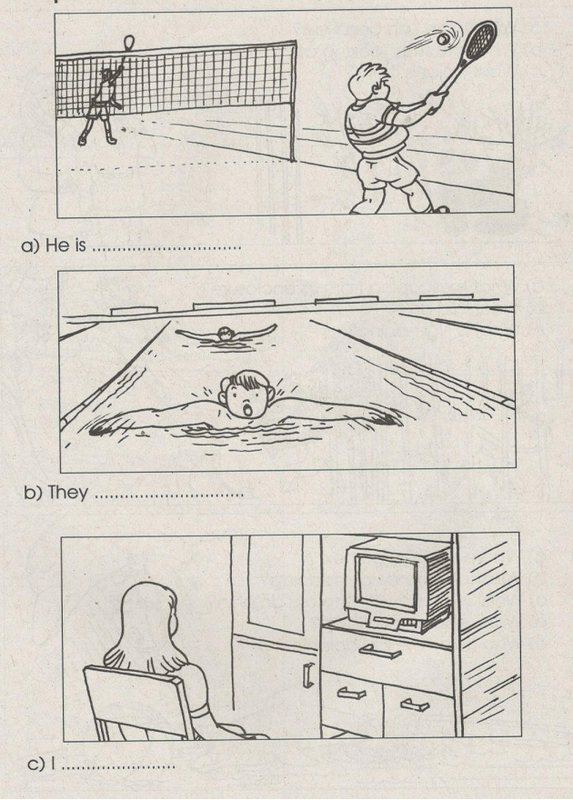 Complete the sentences with suitable adjectives or adverbs Câu 2.